China Valve Manufacturer www.steeljrv.com supplies Industrial Valves, Ball Valves, Butterfly Valves, Check Valves, Gate Valves, Globe Valves, Plug Valves, Safety Relief Valves, Strainer, and Other Special Valves in Various Materials and Sizes, used in many industrial market segments. China Butterfly Valve Manufacturer www.steeljrv.com offers Duplex A995 5A Lugged Butterfly Valve, 24 Inch, Class 150. China Check Valve Manufacturer www.steeljrv.com offers ASTM A359 Dual Plate Wafer Check Valve, Flanged FF, 10 Inch, Class 150. China Valve Manufacturer www.steeljrv.com offers ASTM A182 F316 Swing Check Valve, Flange End, 1 Inch, 150 LB. China Pipe Strainer Manufacturer www.steeljrv.com offers ASTM A216 WCB Y-type Pipe Strainer, Raised Face, DN300, CL150. China Butterfly Valve Manufacturer www.steeljrv.com offers ASTM A216 WCB Lug Type Butterfly Valve, DN150, PN16. China Valve Manufacturer www.steeljrv.com offers A182 F316L Gate Valve, Socked Weld, DN15, 800LBS. China Valve Manufacturer www.steeljrv.com offers A351 CF8M Double Heating Jacketed Plug Valve, DN500 X DN450, 120LBS. China Gate Valve Manufacturer www.steeljrv.com offers DIN3352 F4 GGG40 Gate Valve, Blue Epoxy Powder, 8 Inch, CL150. 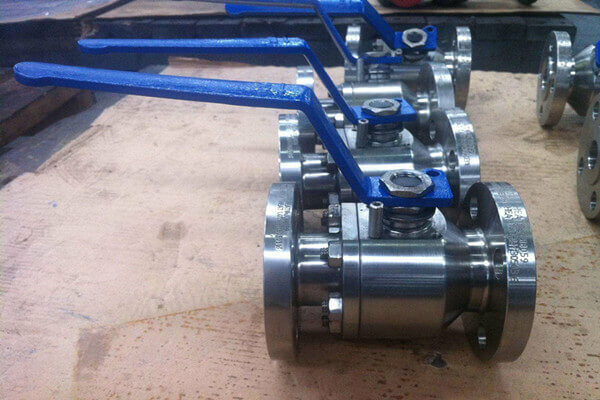 China Ball Valve Manufacturer www.steeljrv.com offers ASME B16.34 A182 F316L Floating Ball Valve, DN100, PN20. China Valve Manufacturer www.steeljrv.com offers BS 5352 A182 F316 Needle Valve, DN25, 6000PSI.